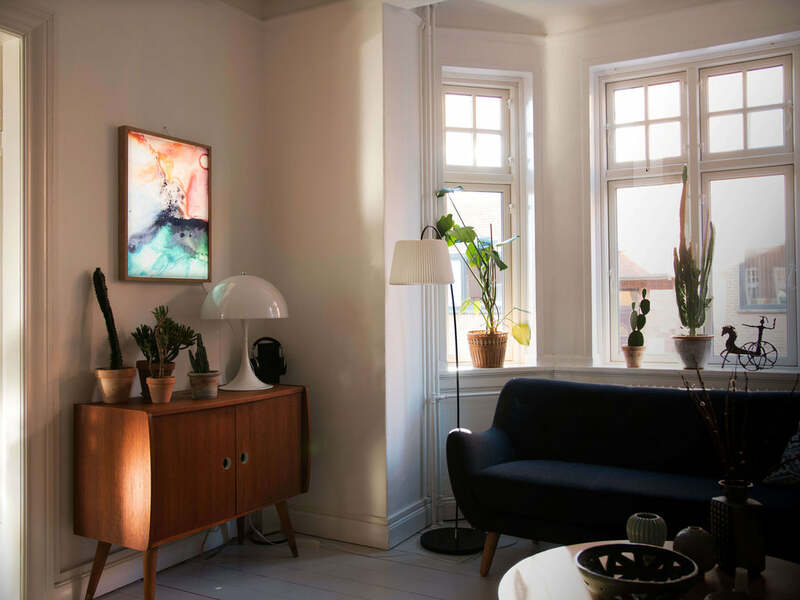 KUVIO's lightboxes represent the essence of Scandinavian design. Your artwork shows its full potential when the lightbox is turned on. Nevertheless, with the lightbox off the works will have a deeper colour expression that gives a subtly different look. Dim the light when you eat dinner and increase the brightness when reading. With the enclosed dimmer you can create the atmosphere you want. The artwork is backlit with LED lights. The design ensures an even illumination across the artwork, as well as low energy consumption and long lifespan. - The built-in LED bulbs last approx. 50,000 hours. - The brightness level can be adjusted via push-bottom on the included power supply. - Energy consumption: 90 kWh / year if the lightbox is on for up to 8 hours / day. - Standby Energy Consumption: 0 W.
Each lightbox is supplied with a 2 m. white cable and a power supply.